I grew up in the 1980’s and and early 90’s. During that time we had a lot of cartoons. One of the classics during that era was Disney’s Duck Tales. If you watched it, you probably just said “Duck Tales…woo hoo!” in your head. The cartoon was about Uncle Scrooge McDuck and his great nephews Huey, Dewey, and Louie. Uncle Scrooge is probably what Bernie Sanders fans would call a “One Per-center!” And Uncle Scrooge would go swimming through his money in his massive Money Bin that dominated the skyline of Duckburg. But the reality is wealthy people don’t have money bins. And while they keep some money in banks, much of their money is invested. It is in stocks, real estate, buildings, machinery, trucks, and even to cover payroll for you and me. So when Bernie fans say they want to take the one per-centers money away, I would ask, “How?” Make them sell their businesses? Force them to liquidate assets? We work in those buildings. We operate that equipment. We use those assets to make our incomes. Do Bernie fans realize they are demanding their own pink slips? They need to get the idea that there is no massive Money Bin. It doesn’t exist. They need to quit acting like the Beagle Boys and stop trying to steal things that do not belong to them! Stop hating the wealthy and start working to become one of them. That is how we reduce poverty and create prosperity. It takes three things: hard work, smart decisions, and a little luck. But people will find their luck increases when they focus on the first two. 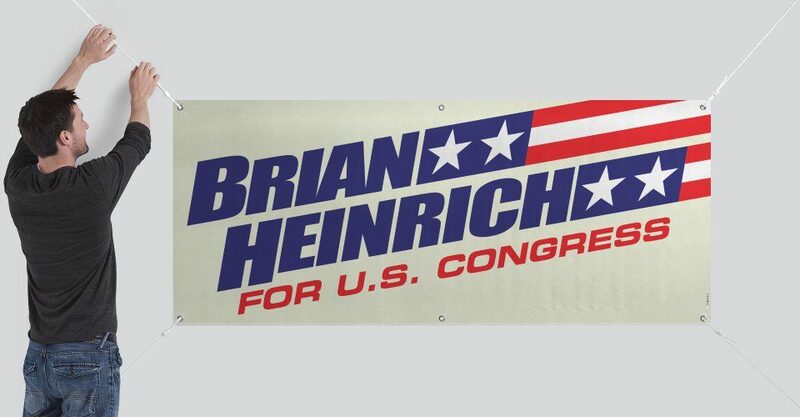 My Name is Brian Heinrich and I running for US Congress. Please like my facebook page and share my thoughts with others. ← Discrimination and the Minimum Wage.